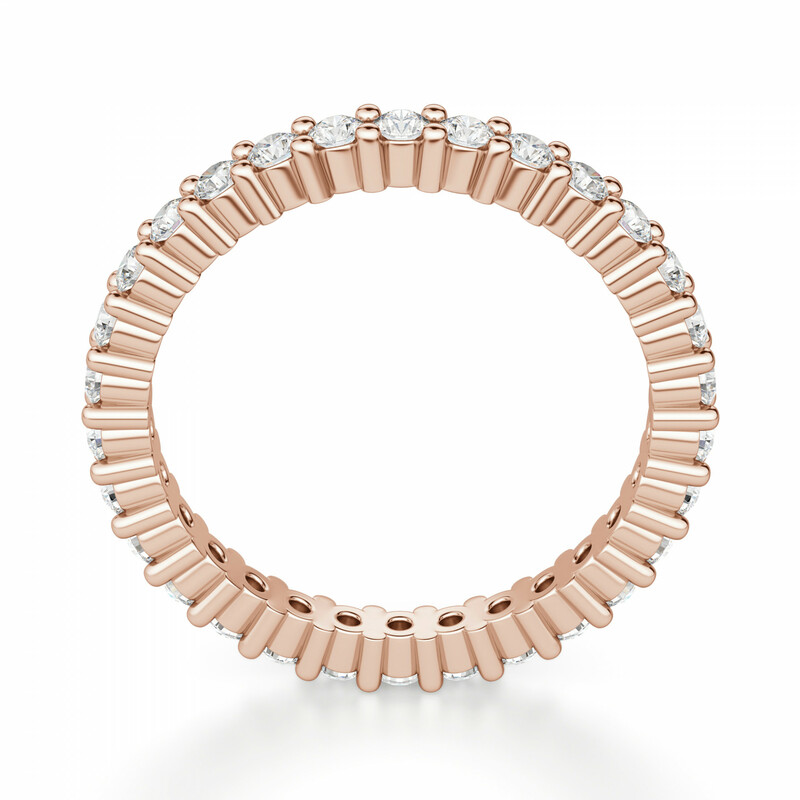 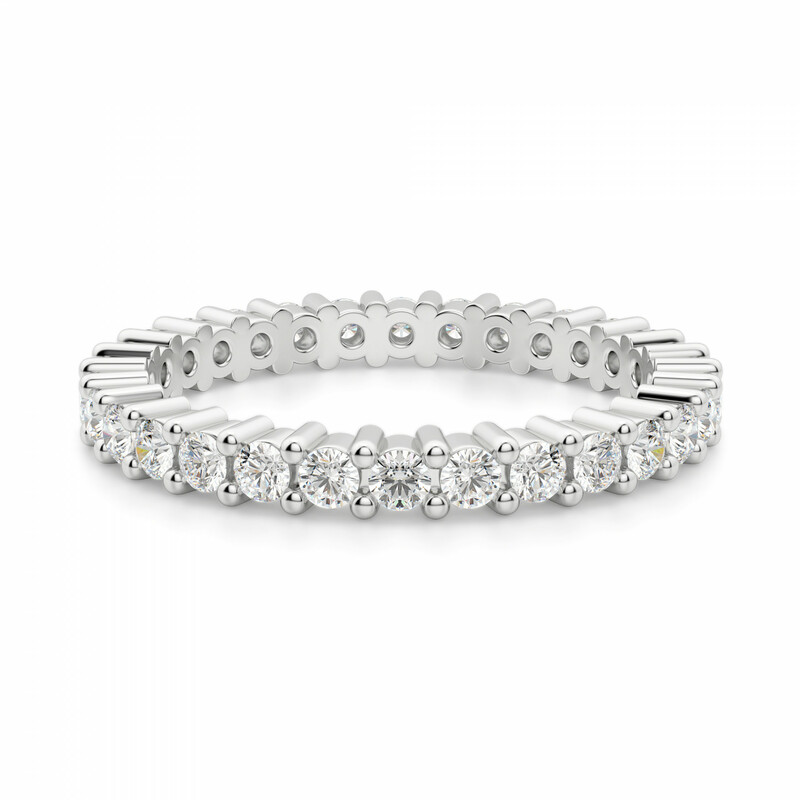 Touch of Paradise Petite Eternity Band was added to your cart. 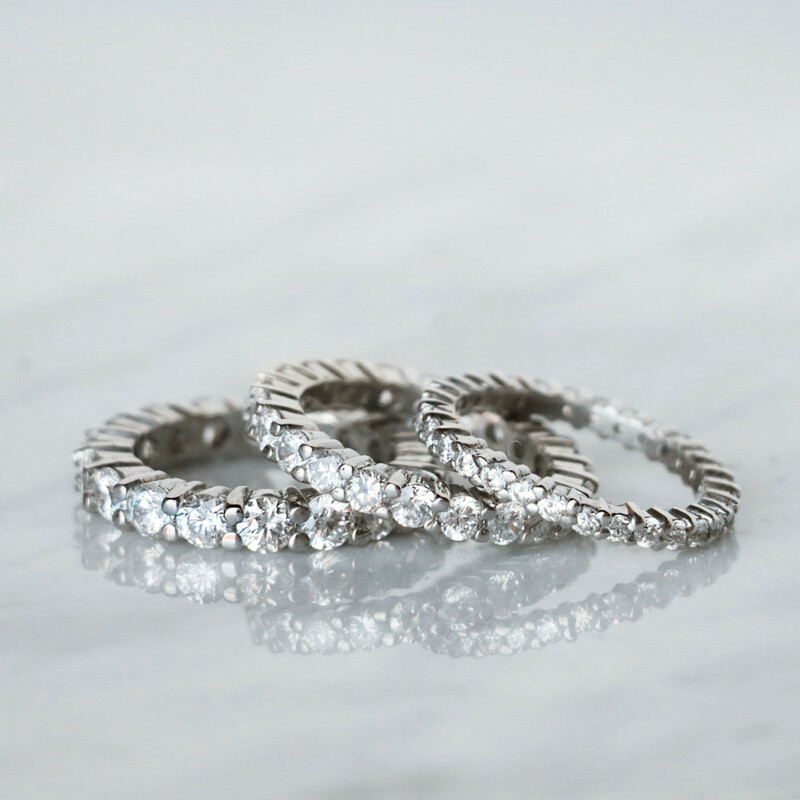 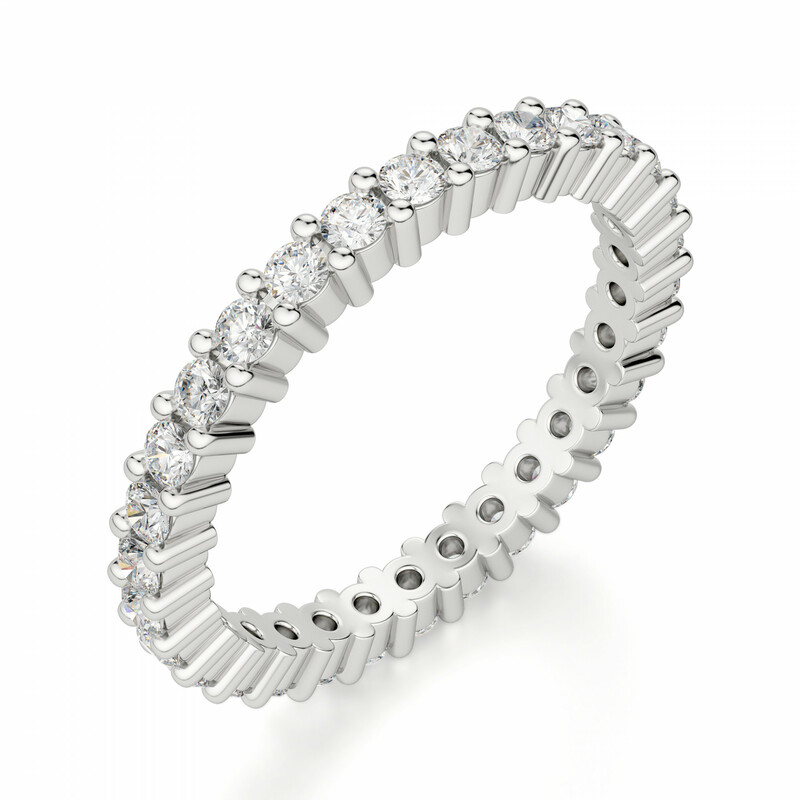 This classic eternity band draws the eye from every angle. 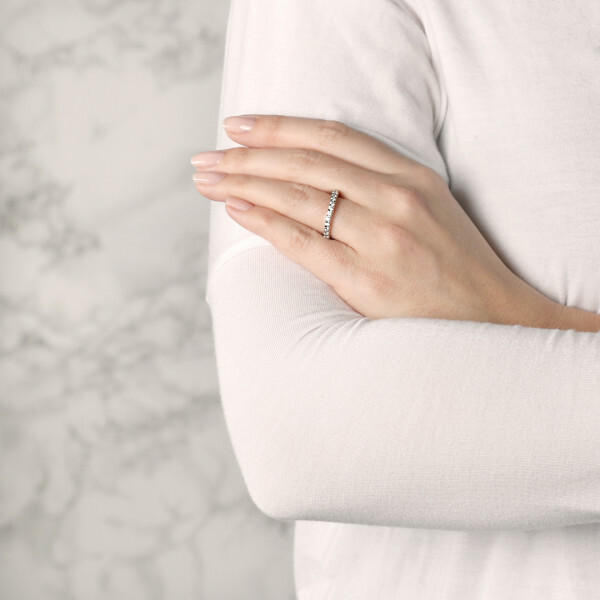 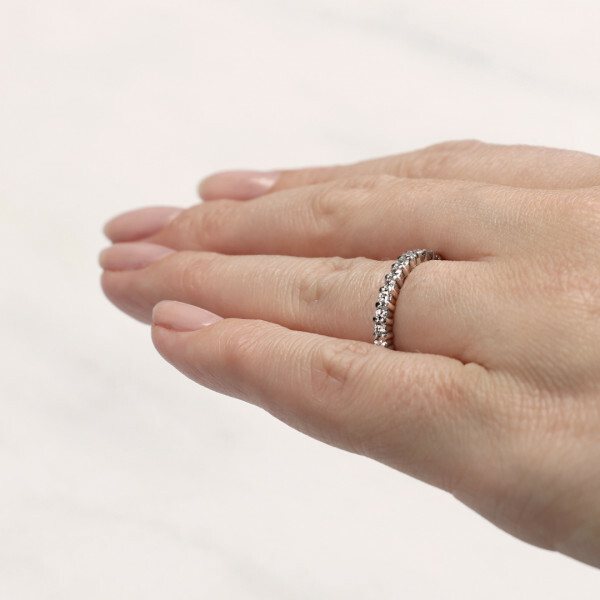 Round Brilliant cut Nexus Diamond alternatives encircle the finger and subtly architectural detail on the sides make it a strong, feminine piece.